All valuation services comply with relevant IRS and FASB (Financial Accounting Standards Board) regulations. Our work has been accepted by all major accounting firms. 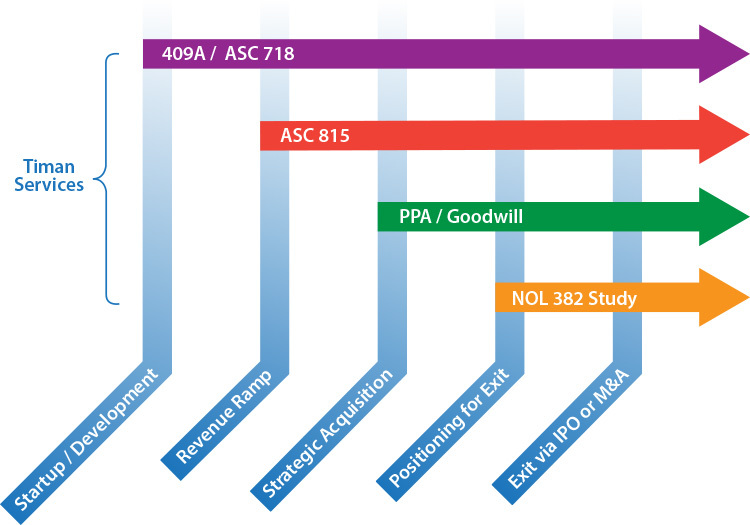 Under IRC (Internal Revenue Code) Section 409A, first released in 2004, privately owned companies such as start-ups are required to establish that any form of deferred compensation is being issued at no less than Fair Market Value at the time granted in order to avoid a potentially painful tax liability for the grantee and company. While most start-ups perceive 409A valuation as just a tax issue for pricing stock options, it has implications beyond tax, particularly when the company successfully grows to later stages in its business life-cycle. Audit firms review 409A reports very carefully for stock option expensing and non-compliant valuation reports can create issues at a future date, delaying M&A due-diligence or the IPO process. ASC (Accounting Standards Codification) Topic 718 requires companies that award their employees share-based payments to recognize the Fair Value of those awards by utilizing Black-Scholes or another option-pricing model. This is an SEC regulation and is needed when a company is audited under GAAP standards. The estimated Fair Value is expensed over the relevant vesting period. Derivatives have been widely used to provide flexibility in financing and investing in recent years. Typical examples include convertible notes that have an option to convert into more than one type of issuer security based on certain conditions or warrants issued with anti-dilution protection features. The increasing use of complex securities and derivatives to mitigate risk led to the issuance of ‘ASC 815’ (formerly FAS 133), which provides guidance on the specific accounting treatment of a multitude of derivative instruments. 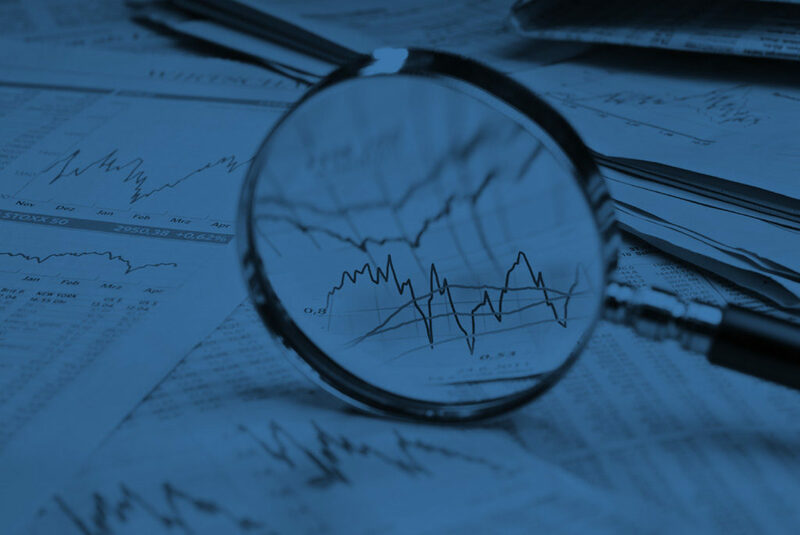 Recent SEC guidance and comments criticize the widespread but incorrect use of the Black Scholes model for the valuation of complex derivative securities that incorporate anti-dilution protection and other embedded features. The SEC recommends more advanced techniques such as the Binomial Lattice Model or a Monte Carlo Simulation to value such securities. The primary objective of ASC Topic 805 (formerly FAS 141R) is to bring more transparency to the reporting of acquisitions. ASC 805 requires companies to allocate the purchase consideration paid in M&A transactions into various tangible and intangible assets and liabilities at their Fair Value. Commonly identified assets include tangible assets, such as real and personal property, furniture and fixtures, and equipment and machinery; and intangible assets, such as trademarks, technology, and customer relationships. Typical liabilities include deferred revenues, contingent consideration, and non-controlling interests. Companies are required to conduct an impairment test of goodwill and evaluate remaining useful lives of intangibles and other long-lived assets annually. ASC 350 (formerly FAS 142) requires companies to use a process to measure the impairment of goodwill. The first step determines whether possible goodwill impairment should be recognized by comparing the Fair Value of the invested capital of a reporting unit with its book value (carrying value). If the appraised value is less than the carrying value, then the company must proceed to a second step in which the value of the impairment is determined. Similar to the accounting for an acquisition, this requires independent valuation of the business or group of assets at a “reporting unit” level, and the allocation of the aggregate value of the reporting unit to its identifiable tangible and intangible assets, and to goodwill. ASC 360 (formerly FAS 144) requires companies to assess the recoverability and Fair Value of long-lived assets, including Property, Plant and Equipment (PP&E) and finite-lived intangible assets. The amortized intangible assets are tested against undiscounted cash flows and indefinite-lived assets against Fair Value. Deferred tax assets, such as Net Operating Loss (NOL) carryforwards, can be used to offset future taxable income thereby reducing a company’s tax burden and increasing its cash flow in a given year. However, NOLs can be subject to certain limitations, such as IRC Section 382. Section 382 generally requires a corporation to limit the amount of its income in future years that can be offset by historic losses, i.e. NOLs and certain built-in losses, after a corporation has undergone an ownership change. Careful consideration must be given to analyzing NOLs given the potential impact future NOL utilization can have on future cash flows of a company and ultimately the value of the company.